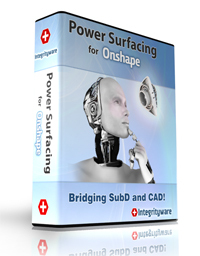 SubD2CAD, CAD2Print, and CAD2Poly Released March 14, 2016! The subdivision surface to CAD bridge! 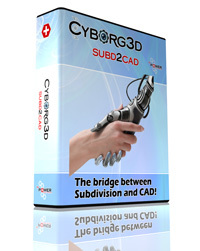 Cyborg3D SubD2CAD can convert your subdivision surfaces, ZBrush models and even high density triangular meshes into CAD data formats (NURBS based boundary representations). If you need to bring polygon based models into a CAD system, SubD2CAD is the product you need. Click for more info. Better STL files produce better prints! 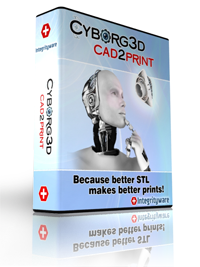 Cyborg3D CAD2Print will help you produce better prints of models coming from CAD systems. If you have to spend time cleaning up STL files from CAD files or you need more control of the STL file quality and accuracy, you should consider adding CAD2Print to your workflow. Click for more info. Better Polygons from CAD Data! 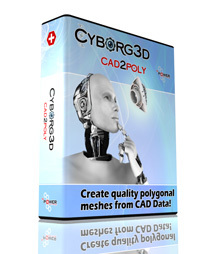 Cyborg3D CAD2Poly can take CAD parts and assemblies and produce high quality polygonal approximations. CAD2Poly's user control of tessellation settings and polygon pre-visualization, empower you to quickly produce Wavefront OBJ files that are optimized for your specific downstream application. Click for more info. Bring the power of organic Sub-D modeling to your Onshape workflow. Release 1.0 is available now if you have an Onshape account. Click for more info. Easily create complex 3-D Designs! Coming soon! 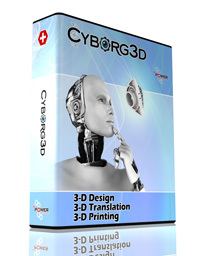 Cyborg3D is a product designed to create content and prepare existing models for 3D printing. Reverse engineering for scaned meshes! Cyborg3D Mesh2CAD is an enhanced version of Cyborg3D Designer that also allows reverse engineering of scanned meshes, ZBrush meshes, and other meshes.